There are a couple of things you notice when you start eating with the seasons. One, things taste better, and two, the right foods seem to come into season exactly when your body is craving them. Like cool refreshing watermelon in the middle of summer, or the Vitamin C-rich citrus fruits like oranges and mandarins that are in abundance in the winter. 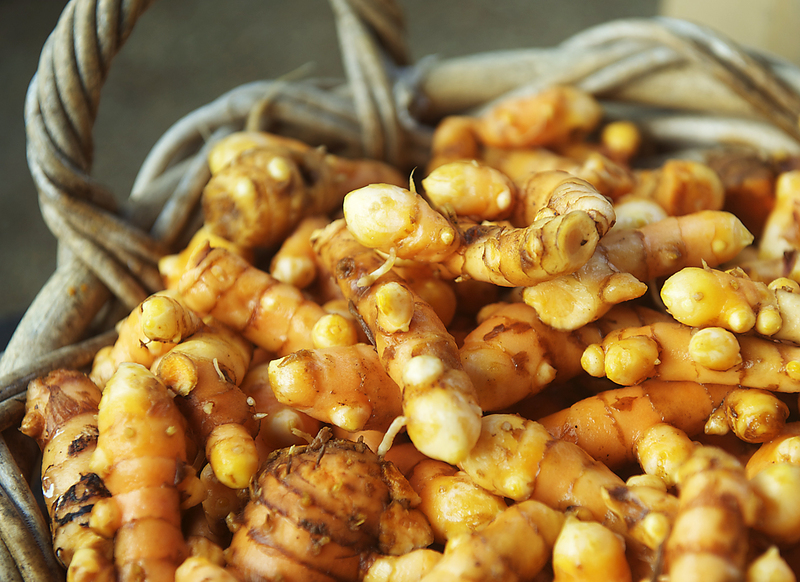 Ginger, galangal and turmeric are three spices that are all harvested locally in late summer and autumn as the weather is cooling down. Each has its own earthy, warming flavour that is just right at this time of year, as well as a whole host of health benefits. 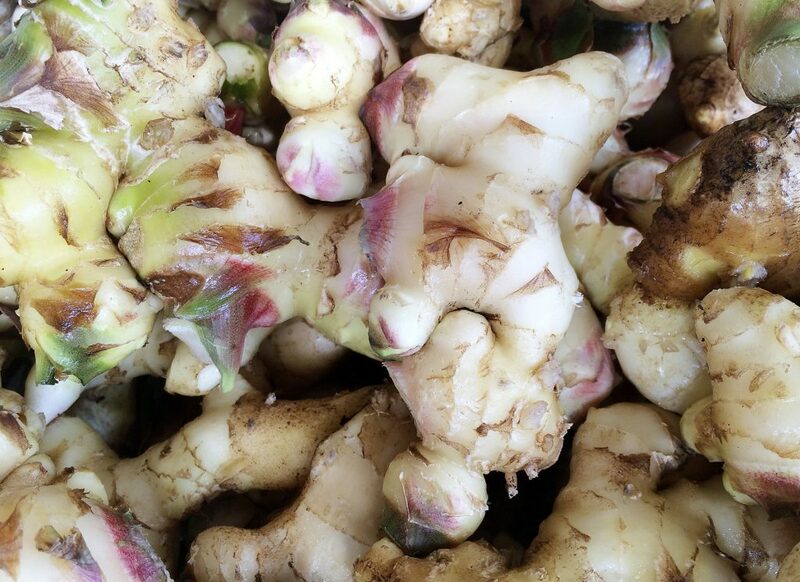 GINGER: New season ginger has a pale smooth skin and a yellowy white juicy flesh with a warming peppery taste. It’s known as an anti—inflammatory, can help treat nausea and has traditionally been used as a digestive aid. Grate some into your pumpkin soup or stir-fry, add to salad dressings, or try a warming honey lemon and ginger tea. TUMERIC: With its unmistakable orange flesh that stains everything it comes into contact with, it’s not surprising that turmeric is often used as a substitute for saffron, adding a bright yellow colour to curries and rice. Used in Ayurvedic medicine for centuries, turmeric has become quite the superfood in the Western world recent years, and has been hailed for it’s anti-inflammatory properties. Grate some into milk, add ginger, honey, cinnamon and a pinch of black pepper and warm on the stovetop for a home made turmeric latte, or add it to your curries. 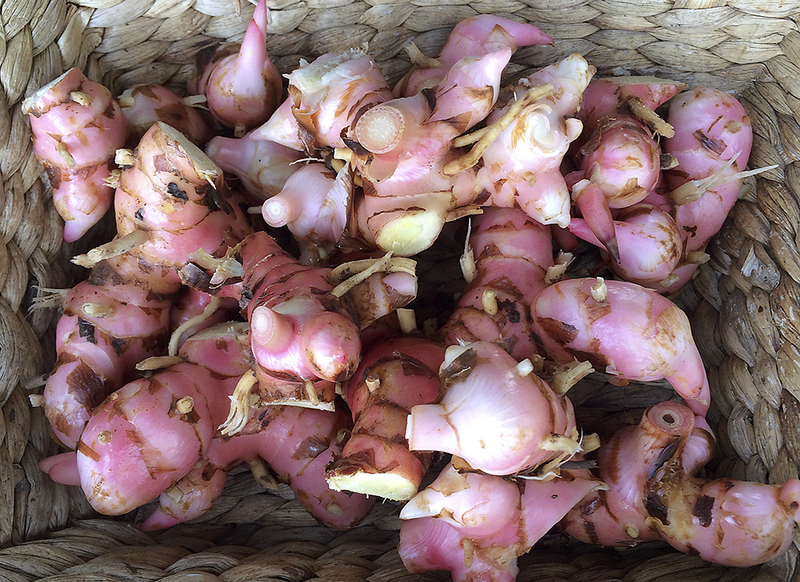 • Find fresh local organic ginger, galangal and turmeric at Summit Organics.